“At 1100 hours on October 27, attacking with heavy weapons, the Turkish army targeted the Defense Units’ border positions to the west of the town Gire Spi,” the YPG said. 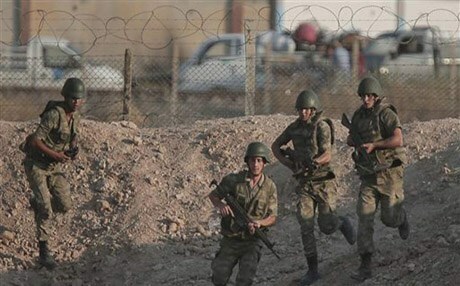 “Simultaneously between 1815 hours and 1830 hours, Turkish military forces carried out another offensive with heavy weaponry while conducting unusual movements with Akrep armored vehicles on the border with the city of Gire Spi,” it added. Turkey, which fears a strong Kurdish foothold in northeast Syria fueling nationalist sentiments within its own Kurdish population, also attacked Kurdish fighters on Sunday in Gire Spi.